Kale. Cupcakes. Sriracha. Bacon-wrapped . . . anything. Each passing year seems to bring with it a new culinary darling, an ingredient or dish that enjoys a moment in the limelight—making its mark on restaurant menus, grocery store shelves, and, yes, in cookbooks. Quinoa is the latest heir to the food-trend throne, and with good reason: the protein-packed, gluten-free seed is a bona fide superfood. But while the nutritional attributes of quinoa are widely acknowledged, its ability to entice has, until now, been debated. 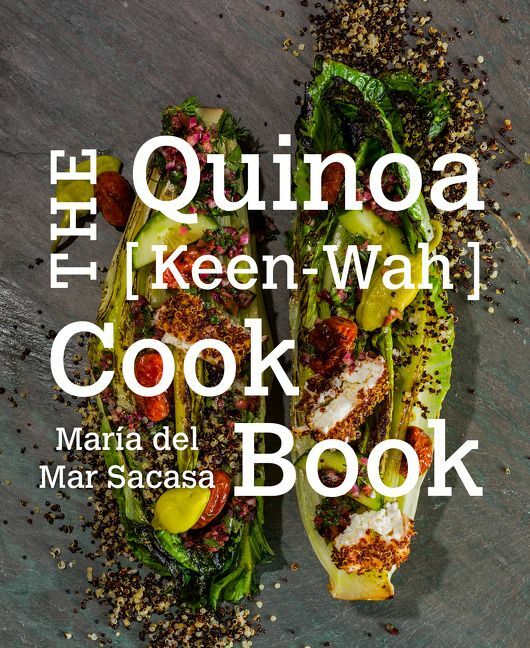 Enter The Quinoa Cookbook, in which you will find more than seventy-five recipes that utilize quinoa in unexpected, creative, and delicious ways. From Nutty Quinoa Granola to Breakfast Coconut Quinoa; Roasted Peppers with Lamb-Quinoa Stuffing to Matzo Ball–Style Quinoa Soup; Charred Romaine Greek Salad with Quinoa-Crusted Feta to Quinoa, Sweet Potato, and Walnut Veggie Burgers; Quinoa, Cashew, and Orange Blossom Brittle to Quinoa PB&J Cookies; The Quinoa Cookbook will inspire you to reconsider your go-to quinoa dishes. You will also discover the tricks to cooking quinoa perfectly; learn how to make your own quinoa flour, flakes, and puffs; master the art of swapping in quinoa for other starches, like rice and pasta; and find out how to use quinoa in both savory and sweet applications, including baked goods. After all, quinoa is here to stay—so why not have some fun with it? María del Mar Sacasa is a professional food stylist, consultant, and editor. She graduated at the top of her class at the French Culinary Institute and has worked at Lucky, Vogue, and America's Test Kitchen. She authors the blog Cookin' and Shootin' and is the author of Winter Cocktails and Summer Cocktails.